What kind of door is most secure? 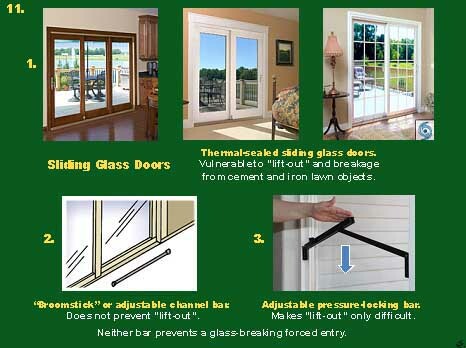 Sliding glass doors are probably the most difficult door type to deal with in achieving a high degree of home security. 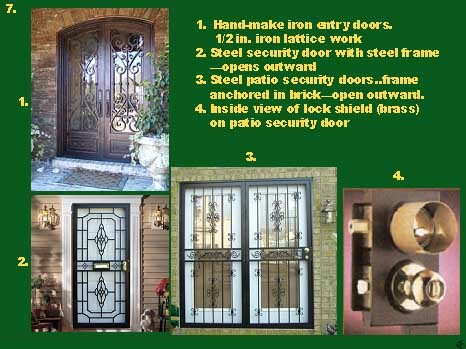 How to achieve a high degree of security in dealing with these doors. The easiest way to get into your home is to kick the door down. 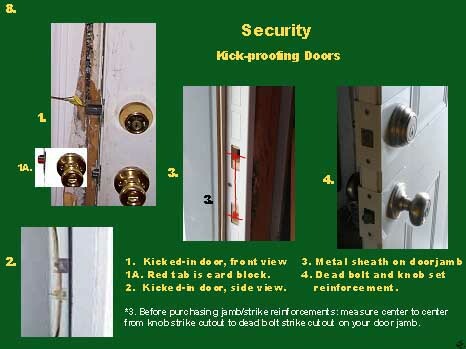 How to achieve a high degree of security in kick-resistance modifications to your doors. 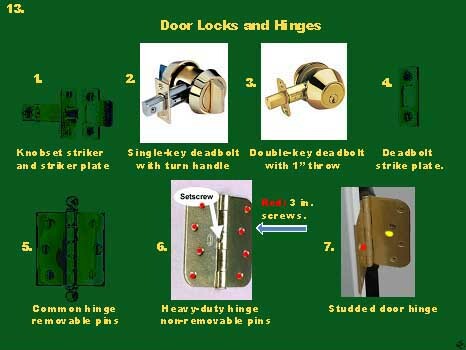 How to choose the best lock for your situation. Which lock is pick-proof and "bump" proof? How effective are they? When should they be used? 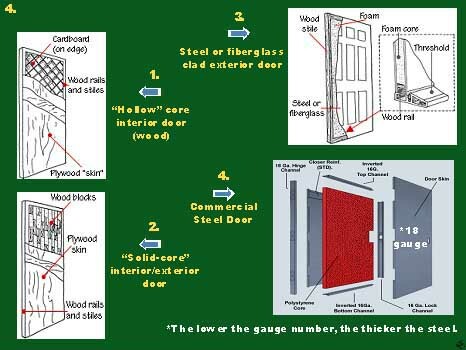 Is installing a steel storm door a "do-it-yourself" project? 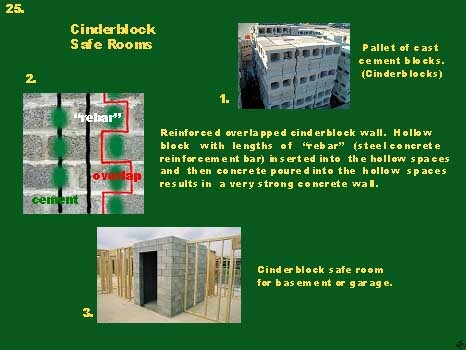 Should you consider installing a "safe" room? Where is the best place for you to build a safe room? What kind of materials can be used? How effective are they? What kind of equipment should be stored in safe rooms? 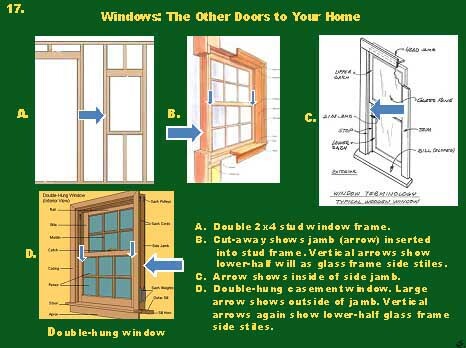 Windows are the "other doors" to your home and much of the time they are the weakest link in terms of home security. What are the options in achieving a high degree of security with windows? Window bars are not very attractive. When should window bars be installed? Can they be "owner installed"? What are the disadvantages to installing window bars? 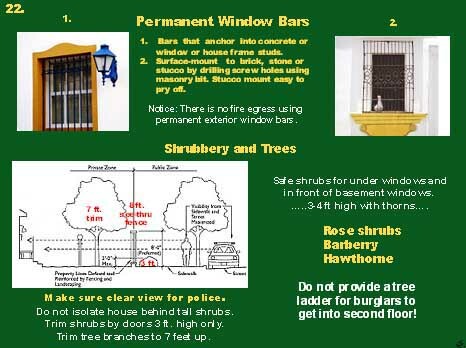 How your shrubbery....and trees....affect the security of your home; including doors, windows and even second-floor levels. Are window shutters anything but decorative? What degree of window security is achieved by installing shutters? 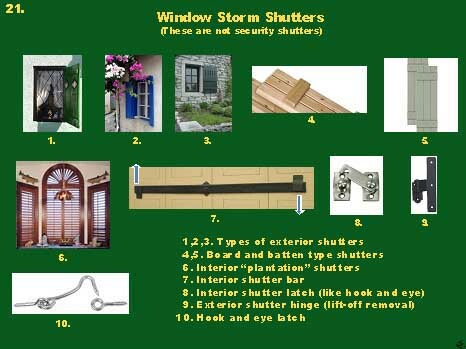 Is there a type of shutter that is most secure? How effective is residential outside lighting? Do I have to wire my whole house? 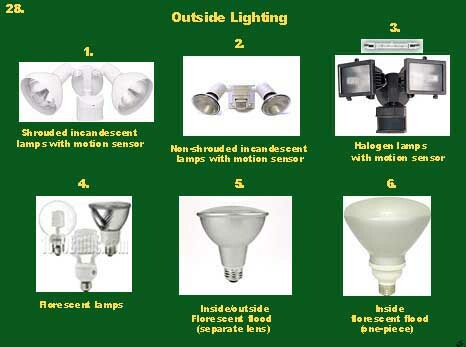 What kind of outside lighting equipment do I need for my particular situation? 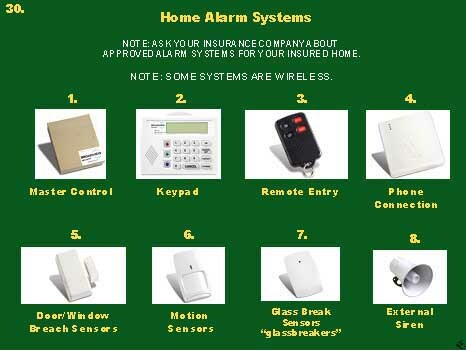 There are so many alarms systems advertised. How do I know what's right for my situation? What kind of equipment is really necessary, and what equipment may I not need? How effective are home alarm systems? Note: These videos do not sell or evaluate products.